The introduction of Age of Sigmar has gotten me very interested in expanding my pirate forces into individual armies. 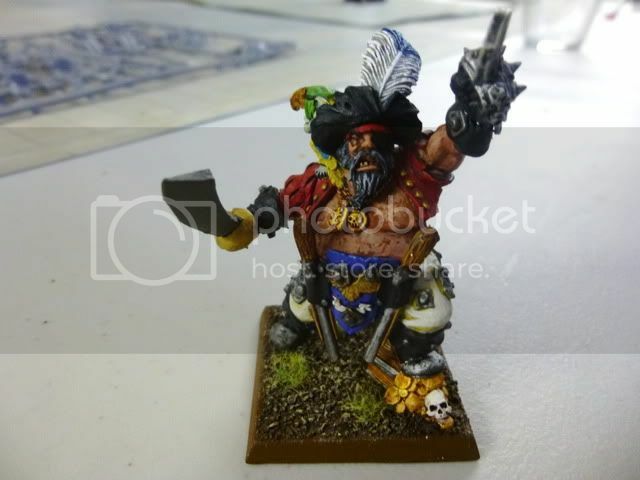 As a little background, I played a pirate-themed Dogs of War for many years and added an assortment of scurvy characters from across the warhammer range. 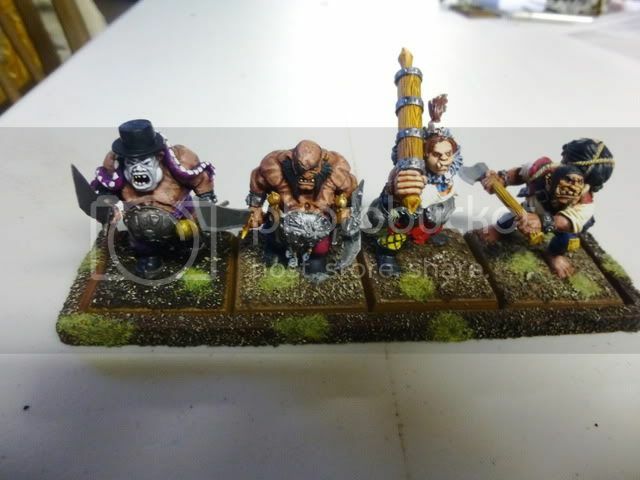 Some of these (Empire, Ogres, and Vampire Counts) became full-fledged pirate armies. 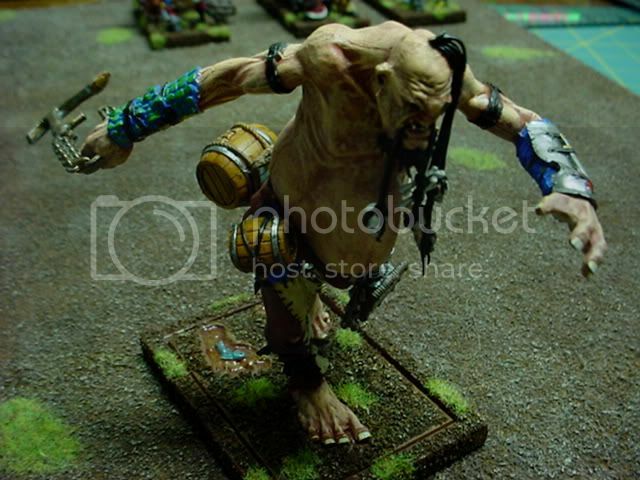 Others (Dwarves, Dark Elves, and High Elves) were never much more than single units. I also added a good number of ships and other pirate-themed terrain to go with them. The small skirmish battles of AoS are perfect for taking some of these and making them into small armies of their own. I'm shooting for lists of around 50 points that I can use for demo games, etc. Since I'm currently living and working overseas, at the moment this consists of making some small purchases on ebay or bartertown and working out some lists on paper. I'd like to share the progress of the project here. 1. Everything in that picture looks amazing! 2. What's the story with that overgrown alligator in the corner? 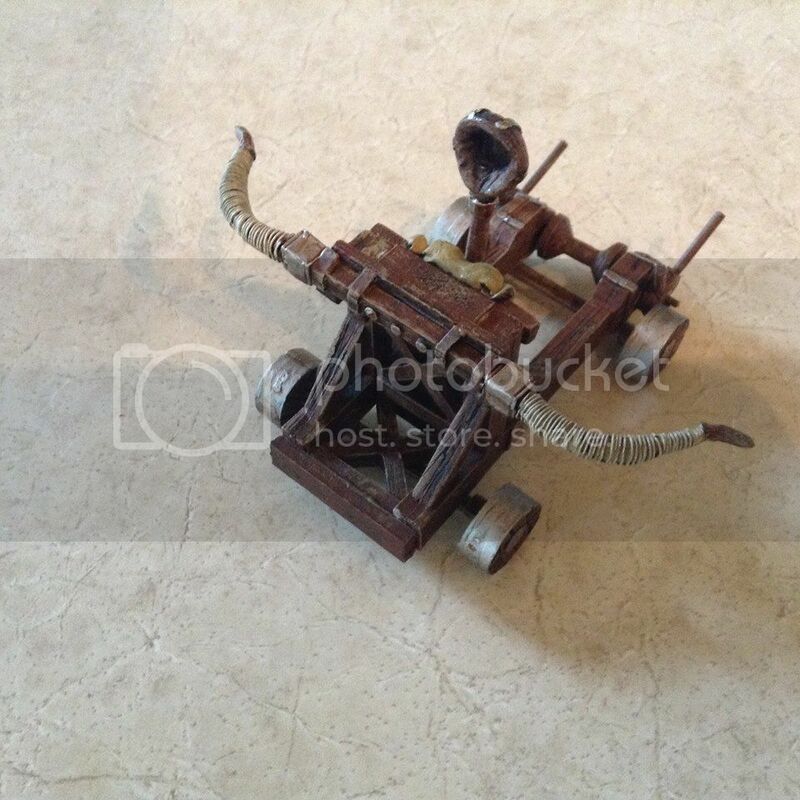 Did your fleet work for Captain Hook and took Tick Tock off his hands (such as they are)? 3. 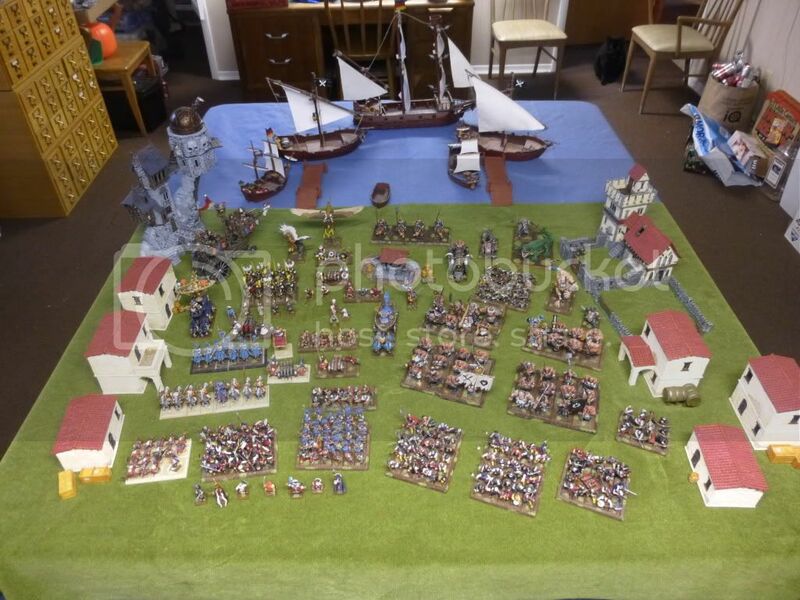 How are planning to do the small pirate armies? Are they just random mercenary bands that took a liking to the seaways of the realms or are they part of a pirate empire with each army representing a high ranking captain's personal flotilla within the organization? Really looking forward to hearing more on your project. looking forward to see this project evolve! Always enjoyed your pirates. I'd like to see those ships up close! 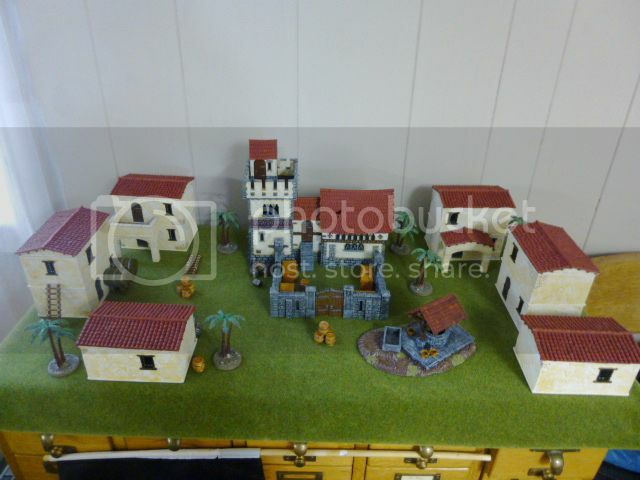 And those buidlings, are they all scratch built, and I don't mean the manor house and observatory. Sadly, I don't have many close up pics at the moment. My mind is full of scenario ideas, though. I have a copy of Legends of the High Seas, and I'm looking forward to running some of those scenarios, too. Some day I want to get me a copy of Legends of the High Seas. Lots of good stuff in there, and I think the sailing rules and scenarios would dovetail well with Age of Sigmar. Here is the best picture I have of the buildings. 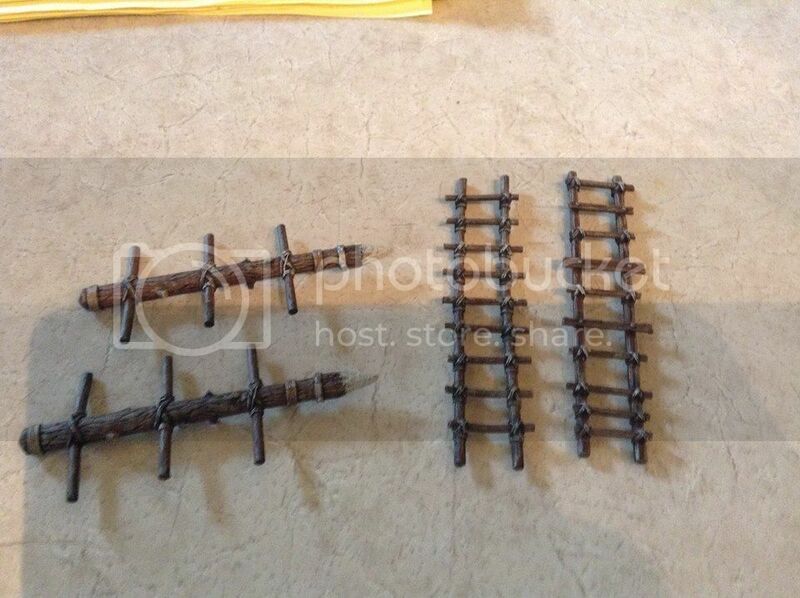 They are from the Games of War line of pirate supplies. The trees are from Weapons & Warriors, as are the two smaller ships in the picture above. Oh man I get soooo many Assassin's Creed 4 vibes, by just looking at these pics. Simply stunning and awesome. Awesome fortress and town as well. Really gives off a coastal vibe. I like the use of the ship's cannons on the walls of the castle. Thanks! They are also from Weapons and Warriors. They used to be on the galleon, but were really too big (stuck out above the sides rather than through the gun ports). When I replaced them with others, I found out that they are almost the perfect size for the fortress. Serendipity, I guess. I picked these up last spring when there was so much uncertainty about the future of warhammer in the air. 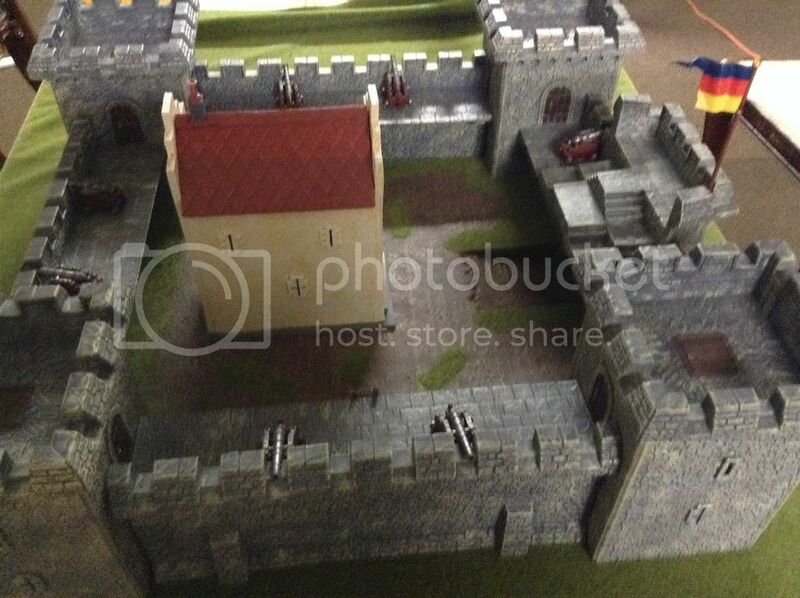 Plus, we've played quite a few siege battle using the blood in the badlands rules, and they are a lot of fun. 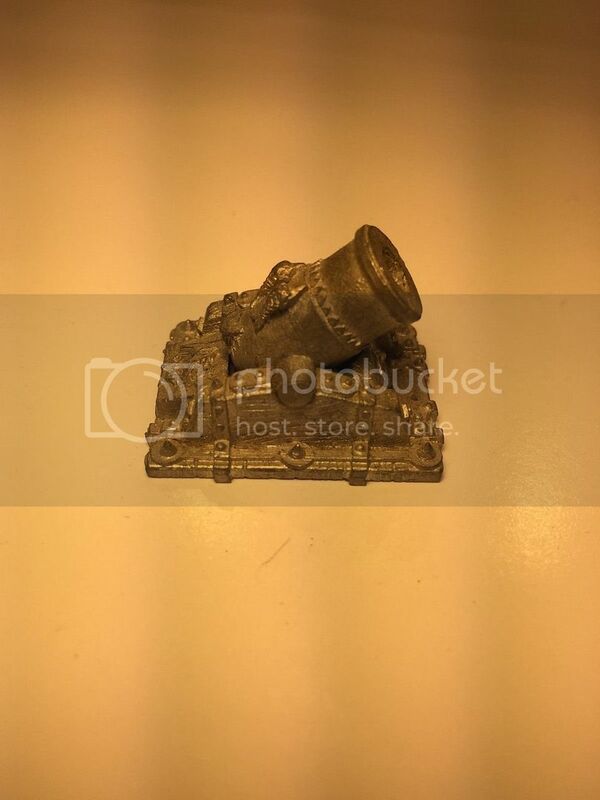 I just picked up this little number on ebay to add to may siege equipment. 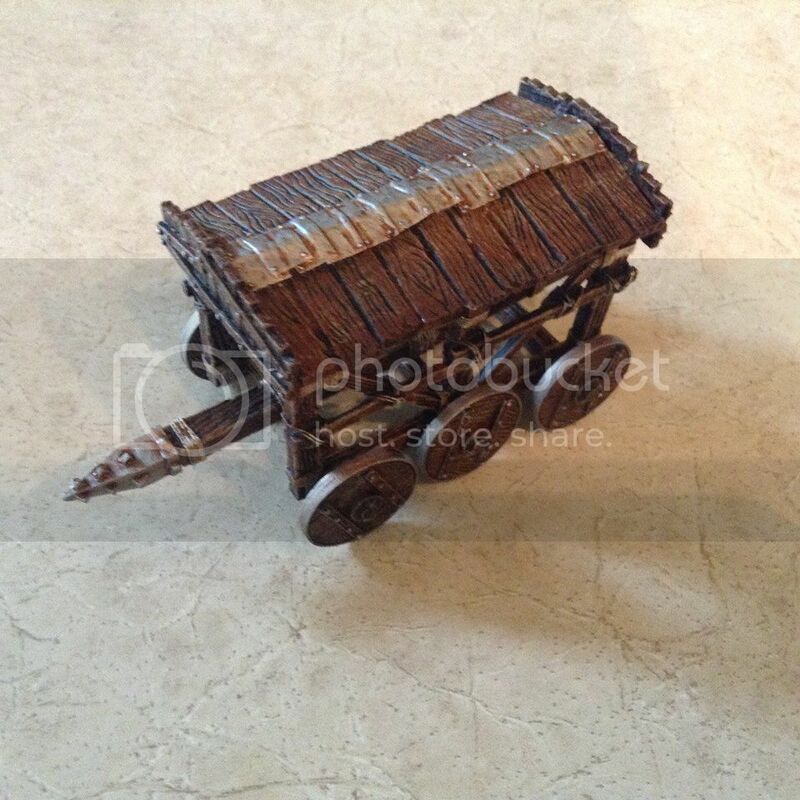 Very nice, love the siege equipment. I concur. 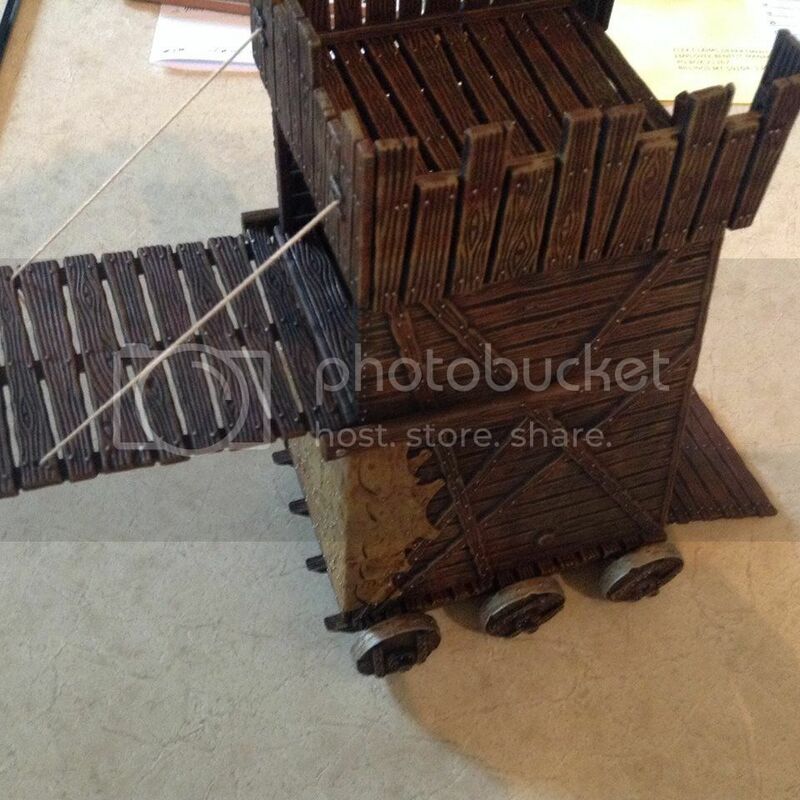 I love the wood grain on the old metal models, and on the siege tower (which is plastic) as well. Fun to paint, and pretty easy to get good results. 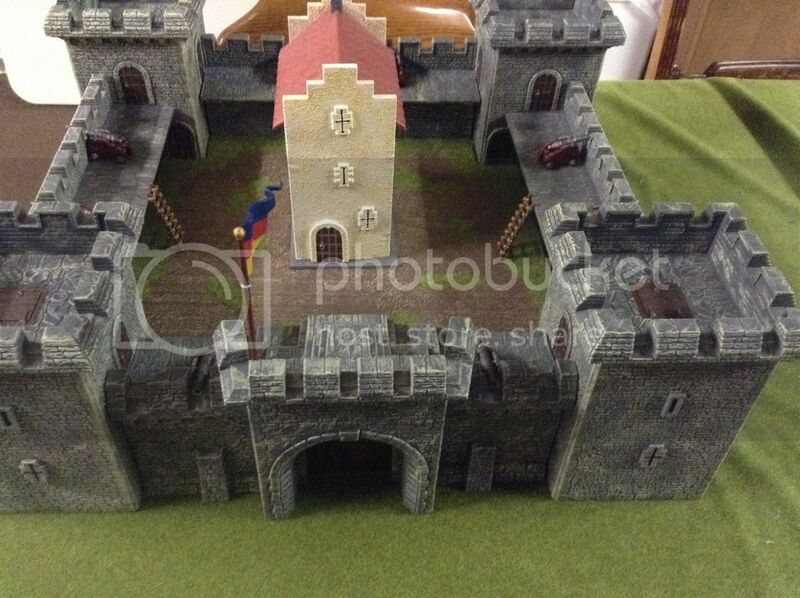 Believe I have 2 of those seige towers, and need to get them out, a project only half finished years ago. I really enjoyed the Blood in the Badlands rules for siege battles, but now Discoking's battle report http://warhammer-empire.com/theforum/index.php/topic,51284.0.html has me thinking about trying one for Age of Sigmar. Here is the first group likely to come knocking on the door of the castle, Sharkbelly and his ogre Pirates. The group also includes a surgeon (counts as a butcher or slaughtermaster). 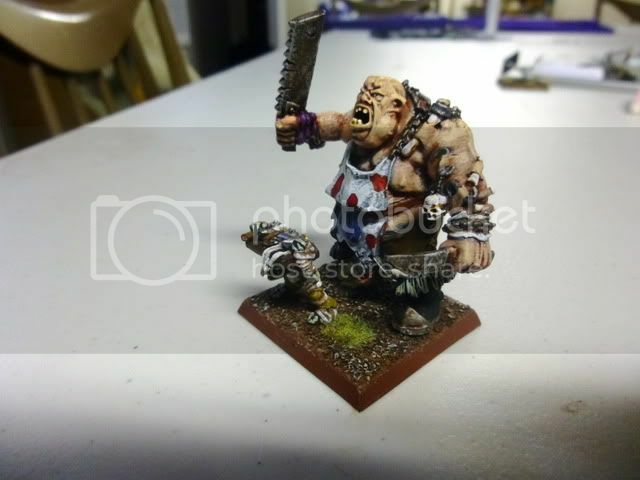 I added a grot orderly to be his helper. Several editions ago, he would have been a sword gnoblar. 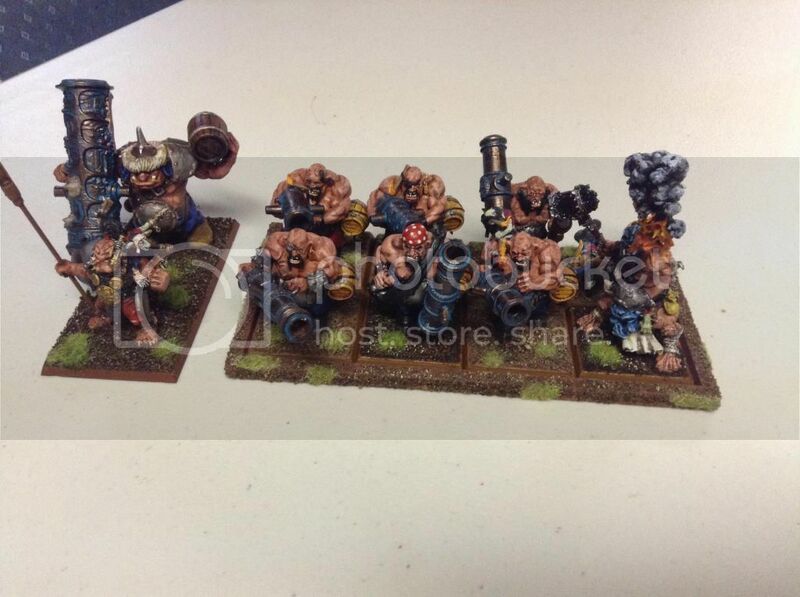 The firepower for the group is provided by leadbelchers and a counts-as ironblaster. 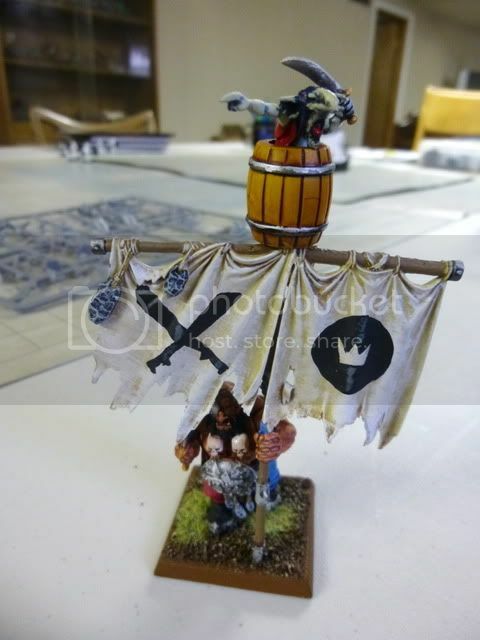 Here is a closer look at the unit banner, with its gnoblar lookout. They look great! But poor birdy! 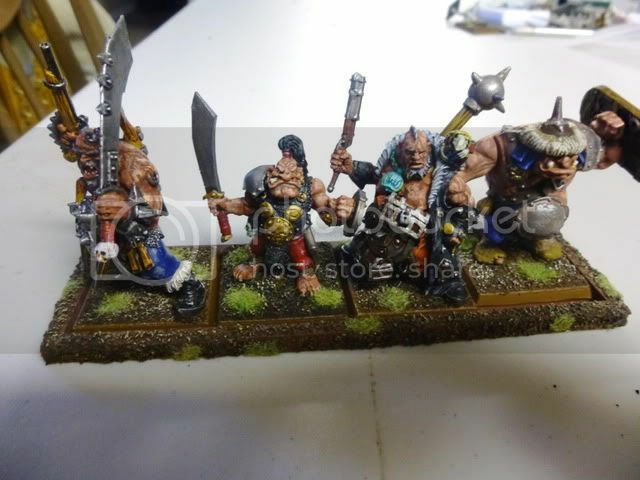 A surprisingly good mesh of old and new Ogre minis. And that Giant! Wow! Very nice stuff, I really like following this thread. Now what are the chances of seeing these pirates in action with a battle report?